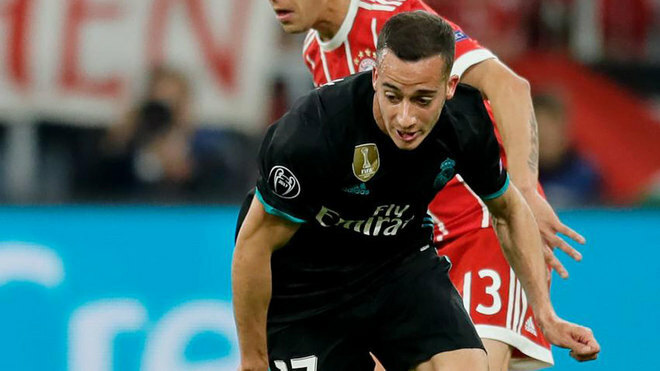 Zinedine Zidane has long been an advocate of Lucas Vazquez’s versatility, and the Spaniard excelled in Munich on Wednesday evening, although he later admitted that the match was difficult against Bayern Munich. After starting the match on the right side of midfield, an injury to Dani Carvajal forced Vazquez into a utility right back role, although he didn’t miss a step when dealing with Franck Ribery. “It was complicated, they didn’t make things easy for us,” he admitted in his post-match interview. “We were more successful than them in the end. Marco Asensio’s winning goal was an example of Los Blancos’ ability to be effective on the counter attack, one which Vazquez played a key part in. “It was a very good counter attack after Rafinha lost the ball,” he continued. “In the end Marco’s finish was perfect. When pushed on his spell at right back, the former Espanyol loanee was humble after he managed to prevent Ribery from creating a second goal for the Bavarian giants. “It’s a lot easier with the help of my teammates,” he confirmed. “Ribery is a great player, he’s 35 years old but plays like he’s 25.